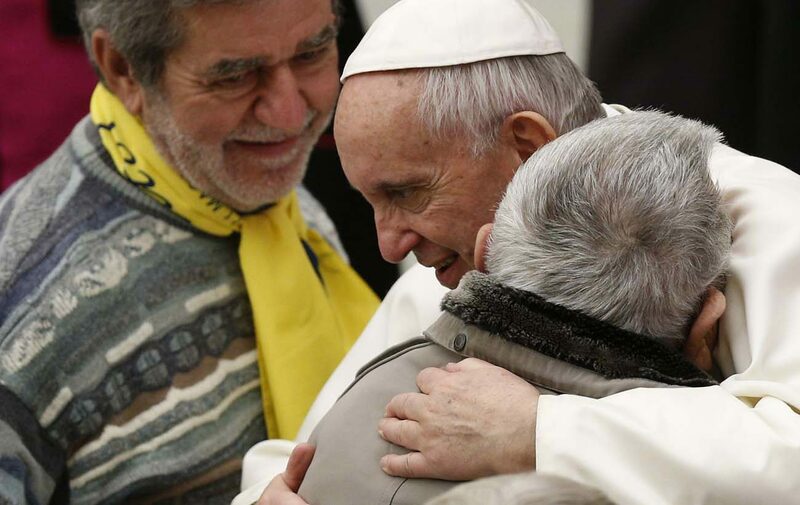 VATICAN CITY (CNS) — The freedom that comes from receiving the gift of a joyful Christian life can only come to those who are held captive by God’s love, Pope Francis said. People who are afraid of God’s gift of love, however, seek only the rigid adherence to the law and can only pray a “closed, sad prayer,” the pope said Feb. 6 in his homily during Mass in the chapel of the Domus Sanctae Marthae, where he lives. “When you become a slave to love, you are free! That is a beautiful slavery,” the pope said. The day’s responsorial psalm (Psalm 104), he noted, is a song of praise to God who loved his creatures even before the creation of the universe. God also showed his love in the act of “re-creation,” sending Jesus Christ into the world to “turn ugliness into beauty, error into truth and evil into good,” the pope said. “They did not know how to receive the gift; and this gift is only received in freedom. These rigid people were afraid of the freedom given to us by God; they were afraid of love,” the pope said. “May the Lord help us understand this great thing and help us understand what (God) did before creating the world: he loved! May the Lord help us understand his love for us and may we say — as we said today — ‘You are great O Lord! Thank you, Thank you!” Pope Francis said.